1. Sorry, but I do not feel like my 2012 can be condensed into 10 short blurbs. Nothing about me or my friends could ever be condensed into a blurb. Have you met +Timothy Gwynn? What about him is possible to be shared in a short blurb? Have you seen his mustache? That is worth a chapter in most epic novels. 2. All of the things I do are awesome for different reasons. I do not want to spend time comparing one event to another. 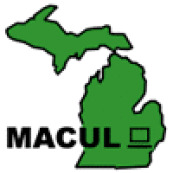 I has awesome times at MACUL (State Tech Conference) and ISTE. EduCon was a blast and so were the edcamps I organized and attended. Instead of suggesting one is more awesome than the others, I woud like to say that they were all awesome for different reasons. 3. My friends are my friends for many different reasons and I do not want to place them in a list about how important they were to me or my education/growth as a teacher. I learn so much from so many different people. Is it even possible to compare @EduSum to @Web20Classroom? One of them is Australian and the other is a Nascar fan. They both bring very different things to the table, including ridiculously awesome accents. So instead of creating a list where I rank the value of Southerners, Canadians and Australians, I will just say they are all awesome in different ways and I'm happy to know them. 4. I have had the privilege to work with some awesome people over the past year and have some exciting new ventures on the horizon. As easy as it would be for me to talk about the epicness of +Evernote and +Edutopia, I will just say that it is an honor to be associated with both of them and look forward to more silliness and epicness in the future. 5. I use many different tools to reach my students and transform education in my classroom. I would hate to hurt the feelings of any app that did not make my list of apps that are going to rock the world of education in 2013. There are some, but they might not work for everyone. Just because +Evernote and +Nearpod are awesome, doesn't mean that they should be on the top of my list, even if they would be if I was creating a list, which I am not. There are lots of great tools out there, take a look around and glance at Twitter. I assure you that you will find one. 6. If it were possible to tell you the ten coolest blogs to read this year, someone else has probably done it and did a better job than I would. There are tons of great blogs out there. I have over a hundred filling my Google Reader every day. The last thing I want to do is tell +George Couros that he was blog number 11 out of 10 and did not make the cut. I do not need him to rain down the Northern Fury of Canada because of the slight. For the good of the US, I could not do it. 7. I would love to rank my 10 favorite students, but I've been told that might be considered unprofessional. Since I can't do that, I will have to just shower them with candy upon their return from break. 8. I will not be ranking the 10 ten hugs from +Kyle Pace. This is simply due to the fact that all hugs from +Kyle Pace are perfect 10s and suggesting that +Kyle Pace would give anything else besides a perfect 10 hug is an insult to Kyle and his Mom's Cookies. 9. Truly, nothing is even close to the awesomeness of being mentioned by Sir Ken Robinson during the ISTE Keynote. The #EduBros were a force to be reckoned with in 2012 and have even bigger plans for 2013. With that, I'm not even going to do a 10th reason. Happy New Year from The Nerdy Teacher! Currently, the book is available on Amazon, iBookstore and Evernote's Trunk. As the semester winds down, I have a chance to see students feverishly studying and working on worksheets, study guides and word finds to help prepare them for the coming final exams. I watch as student pair up and work together to fill out the sheets in the most efficient way possible. They frantically check their phone for answers that are buried too deep in their book to be discovered. I watch all of this and shake my head. You see, I used to be married to the handout/worksheet/word search. This all I ever knew in the world and I thought we were perfect for one another. Sometimes I would try and break things off, but it was so easy to just end up back together. It took me 7 years to realize that we were not good for one another. It was a terrible relationship that was negatively impacting the people around me. It was when I realized how badly our relationship was affecting the kids is when I decided it was time for a change. A few years ago, I decided a trial separation was necessary. I figured I would make a clean break for 10 weeks. I chronicled these 10 weeks without my partner in a series of blog posts. (Some of the links are broken or gone due to time.) I am not going to lie, it was a difficult 10 weeks. There were plenty of times I felt like taking the easy way out and running back to the warm embrace of my partner in educational crime, but stayed true to my word and went 10 weeks free. I see it now as one of the best decisions of my life. My new BFF (Project Based Learning (PBL)) has been a perfect partner. We get along great, we push each other to be creative and the kids absolutely love them. My new relationship has given me a spark in my work and a thrill when I see the kids really work with PBL to grow and mature as learners. This new connection has allowed me to focus on the things that are most important in what I do and the kids now feel they have the freedom to express themselves in ways that were not possible in the previous marriage. While I'm not quite ready to commit fully to this new relationship, I am excited about the possibilities our future holds together. There are plenty of things I learned about myself during those ten weeks that made me a better teacher. Since I ended that disastrous relationship, I can see that my kids have improved. Their spirits are better and the engagement level is through the roof. Everyone is a little bit happier now that the marriage is finally over. For some, this marriage works well and they feel happy about it. Others are blissfully unaware of the negative impact their relationship has on others around them. For me, I can proudly say, "We are never ever ever getting back together!" "I love all of you like family. You are all very important to me and many other people and when push comes to shove I will always have your back." The #EduBros are presenting the winners of the first #EduBroAwards! If your name is on the list as a winner, save the image and place it on your blog. If you felt you should have won an award, save the image on your blog and lie to people. Nobody checks those things for validity anyway. The other day, I was hanging out around the house and I thought about driving to San Francisco this summer. I have tons of great friends in the Bay Area and two of my favorite groups (Evernote and Edutopia) are out there, so it would be nice to pay them a visit. I have always been a traveler. I like getting out there and seeing what the world has to offer. When I finally became a full-time teacher, I booked a trip to London and packed it solo through Europe for a couple of weeks. Some of the coolest people I met where staying in hostels. Awesome people and amazing conversations. There is something about sitting across from someone and sharing ideas over a beverage that cannot be duplicated with all of the technology we have today. These ideas came together when I started thinking about a road trip out West. "What if I stop in cities along the way and have Nerdy Meet-Ups?" I would have a chance to meet so many different people and talk about all things education. What do these people do in their classrooms, schools and/or districts? I could have so many meaningful conversations with so many different people. It could be a crazy adventure over the summer infused with professional development the world has never seen. Some people have suggested that I could do Google Hangouts and meet people that way and have conversations. While I could meet many awesome people that way, I want to shake a hand, give a hug or slap a high-five to these people. Virtual meetings can be great, but I like to get out there and see people face to face. Those connections mean more to me in a way. As digital as I am, I still love a good analog meeting. Chronicling this #EduTour would be exciting and I know I would be able to meet many of my PLN along the way. Using my digital devices to record what I have learned in the hopes of improving myself as an educator. What an awesome way to dispel the "Summers Off" myth that so many people have around the country. Like many of us in the PLN world, making our own PD seems to be far more effective than attending what the school has to offer. This is my question to all of you, "Am I off base in thinking that I could learn many great things on this trip that is not possible doing digitally?" Let me know your thoughts in the comment section and make a case to be a stop on the way from Detroit to San Francisco in August if I make this idea reality. I am excited to bring you #NerdyCast Episode 8 with special guest Tim Gwynn (@TGwynn). The Awards will be announced on Tuesday December 11 during a Google Hangout. We cannot wait to see all of you there. The #EduBroAwards Update - Nominations Close Friday! The EduBros would like to thank everyone for all of their support. At the moment of this post being written, there are 69 comments. We are tempted to close the comment portion of the nominations, but have decided to chuckle like little children and leave it open until Friday. We have had so many great nominations we can't wait until the very secretive voting process to determine to the winners of the first ever #EduBroAwards. Please get your comments in to the original post here and make your nominations for the world to see. After Friday, we will sift through all of the nominations, pass out or ballots to a select group of educators and Nick and Tim will host a Google hangout to announce the winners. At the minimum, we hope you will take a moment and nominate yourself for an award because we know you deserve something. Hello, my name is Nick and I played Dungeons and Dragons growing up. If only there was a guide like this for teaching. I look back on those few years fondly. It was a silly time where my imagination ran wild and characters I created could do amazing things. Sadly, I do not quest anymore and rely on Skyrim and other video games to fill the void, but it’s not the same. The more I think about it, all teachers should play D&D before they are allowed in the classroom. There is a level of creativity in D&D that is unparalleled anywhere else in education. Playing a game that essentially involves paper and 12 sided die requires a tremendous amount of imagination. 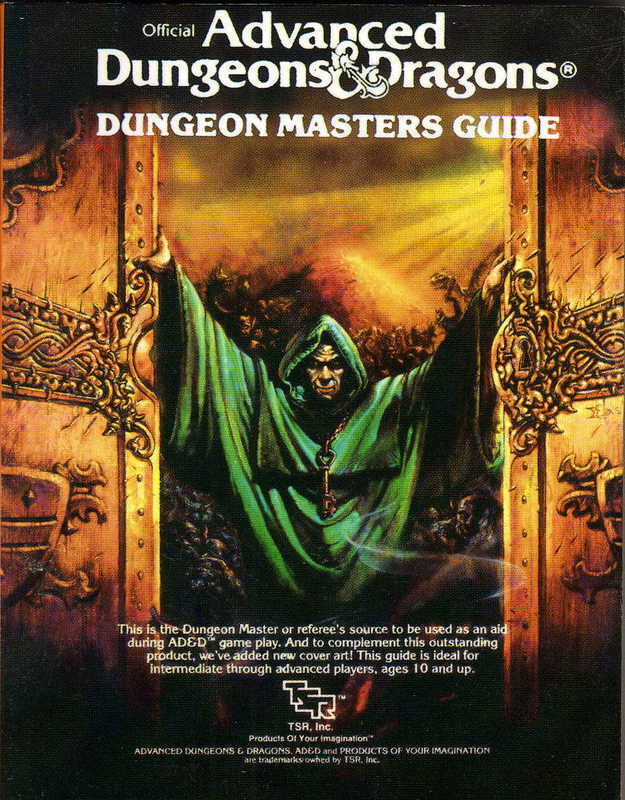 The Dungeon Master would weave amazing stories that required the gamers to “see” the mythical world around them. When it came time for one of to be the DM, it was an opportunity to show the level of creativity we had gained by playing the game. Creating a world by writing an adventure that people had to participate in is not an easy task. Especially when your friends are counting on you to give them the best experience for the short time you had them. The adventure needs to be tailored to the strengths and weaknesses of everyone involved to ensure a great time for everyone. This is no easy feat, but it needs to be done. There is also nothing better than watching the group overcome all of the obstacles you put in place and come out a little bit better. Creating a successful quest is a bit of rush that I have only duplicated in one other place. Lesson planning. How is this any different the preparing lessons for the classroom? I’m tasked with creating a learning environment where all of my students attempt to master the content I have given them in a way that engages them and excites them. There needs to be creativity in every lesson that is created and given to the students. The boring lessons stand out and cause problems in the class as the students get restless. Imagination is something that needs to be in the classroom and needs to be imparted to the students. While some teachers might actually feel like Dungeon Masters, it is their job to create a wonderful world of learning for their students. I always loved surprises when I played D&D. The DM would throw something at us that was unexpected, but could be handled if we thought it though. Critical thinking was a must when gaming. The easiest answer wasn’t always the right one and that forced us to think about situations differently. Evaluating problems, looking at resources and coming to a group consensus were part the game. The feeling of overcoming an obstacle as a group was an amazing feeling. We all knew that the DM didn’t give us something we were not ready for and that is what made certain DMs better than others. As a teacher, I try to give my kids challenges. I want them to be stumped at first, struggle to find the answer and be stoked when the overcome the obstacle. I feel like that is my job. Kids need to be prepared to face tough challenges and work to solve them. Playing a game that is not challenging is really not fun in the long run. School is no different. Kids might say they don’t like to be challenged, but deep down they want teachers to push them. Providing problems that can be solved with a little effort will have a lasting impact on students and they will be thankful for it in the end. The group dynamic of Dungeons and Dragons is always interesting. Each member of the group needs to create a character they will use for their adventures. However, an entire group of wizards only will never get very far. Same goes with groups of warriors only or healers only. As a group, a decision needs to be made about the distinct roles everyone needs to play so the team can be successful. Once that hurdle is jumped, group decision need to be made on the different paths the team will make as it attempts to meet the goal of the quest they have undertaken. This is an ongoing part of the game and it does get heated at times. Despite the stress, the team that works together best will always be successful. The teachers that are the strongest are the ones that work well with others. When teachers get together, they all need to take specific roles and work to their strengths. Collaboration is a skill that does not come naturally to most people. There will be times things get testy, but the goal needs to remain the focus. That goal is helping our students. We have to trust that the people around us are on the same team and want the same things. As a school we are going to be faced with many different obstacles. We have to work together to solve these problems with as little damage as possible. Teamwork is how we can be successful in helping all of our students. I have learned so much from Dungeons and Dragons. There are some people that avoided this post like it was a Tarrasque. It’s sad that a game that encourages all of these important skills is relegated to the realm of “nerdery”. I owe some of my teaching style and strengths to what I developed during those few years questing. Maybe all teachers should spend a couple of years gaming before they get into the classroom. Thanks for the time you spent reading this post. I’m off to find my Monster Manual. I am happy to introduce to you a very cool gadget I have had an opportunity to play with. Here is a video that provides some detail on what NODE is and then I will tell you all about my experience using it. I feel like you never know what you are going to get from a Kickstarter campaign. People are talking about all of the awesome things they will do if they get the money, but then they still have to do them. I've contributed to Kickstarter campaigns before and they have all been cool ideas, but I'm still waiting for the products to be complete. I'm really happy to see the turn around on NODE to be so quick. I wasn't sure what to expect when I received the NODE. To be honest, its design seemed too simple to do all of the things it claimed, but it did not disappoint. Downloading the free app from the app store was a breeze and the instructions found on NODE's website were east to follow. I was able to use the Luma, Clima and Therma add-ons to NODE and each one was very cool. They worked well from my iPad without any delay. Readings were very accurate and the gyroscope was spot on. It was cool to watch me move around the NODE and watch the cube on the app swirl around. The app worked great and I did not see any issues with the app or glitches in general. It worked just how it was supposed to work. I was able to control the lights on my Luma add-on from across the room and the reading from Clima and Therma seemed spot on. It is a fun tool to have around the house to keep track of information, provide light when needed and look for possible areas of the house that might be losing heat. Here is a nice picture of all of their products. For school, I see this fitting in very nicely in Science classrooms. All of the different features that NODE offers is perfect for all of the different types of Science classes you would see in school. Physics could use the basic KORE for motion and speed, Earth Science and Biology could use THERMA and OXA for measurements and Chemistry could use OXA as well. I could see NODE fitting in very well with the data collection that is standard in Science classrooms. Students that have devices that are able to connect to NODE's bluetooth could use one to take their measurements and email the results to themselves. A class devices could also me used so that students working in groups could use NODE to take their measurements and send via email for evaluation. The basic KORE is $149.00 and the prices for the additional pieces range from the $25.00 LUMA to the $149.00 OXA. Add to that the price of a Bluetooth device that can connect to NODE, it becomes a pricey gadget for measurements. At the current pricing levels, I do not see NODE as a device a teacher would by a class set of for all students to use, but I could see NODE with all of the add-ons used within a department to be shared at various times. Educational pricing might be able to help get more NODEs in the classroom. Overall, this was a very cool gadget that can make taking measurements more interesting for students in the classroom and for the teachers as well. The price might be prohibitive to some, but as a department, I think the purchase would make sense for student and teacher use. It's that time of year where everyone runs around and appoints the best of the best of the best. Tim, Jeff, Sir Ken and I (The Edu Bros) have decided that if somebody should give awards out for the best of the best of the best in education, it should be us. The EduBros are proud to announce "The EduBro Awards"! Please continue reading after you are done applauding. We are going to be doing things a bit differently this year. Instead of posting your nominations on Twitter or your own site, we want your nominations in the comment box below. Feel free pimp this post to get others to vote and use the tag #EduBros for all awards and non-awards related tweets. We are also going to do something a little different with the categories. Below, we will have some set in stone categories, but we encourage you to create your own. If nine other people nominate people in the category you created, it will make the cut. Another part of the awards is that you MUST nominate yourself for an award. It can be for an award category we created or one you made up yourself. If you can't pay yourself on the back, how can others? You can also suggest categories and nominations using #EduBroAwards on Twitter. We will scan these and add them when needed. Once all of the nominations are in, a very select panel will vote on the nominations and the awards will be announced on a Google Hangout. All nominations must be left in the comment field. You must identify yourself in the comment. No anonymous comments. You must nominate yourself for one of the EduBro created awards or one you created. A user generated award becomes live when it has been used 10 times. Nominations end 24hrs after we announce the deadline. This contest is not endorsed by Sir Ken, but as an official EduBro, he unofficially endorses it. As an Evernote Education Ambassador, I sometimes get to see products up close and personal. 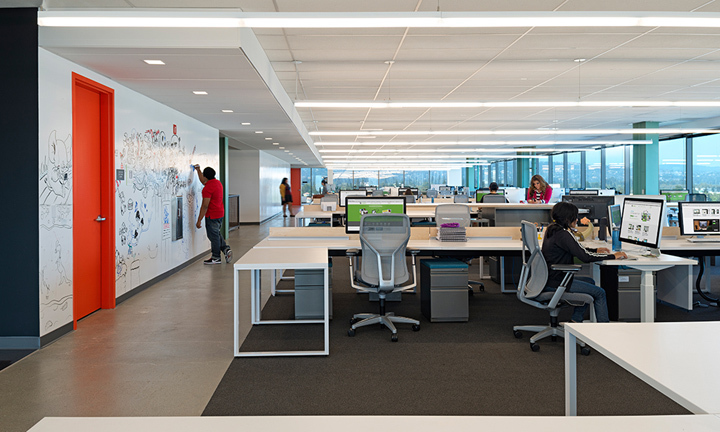 When I was at the Evernote offices in California, I was able to see first-hand how Ideapaint is used. What I saw blew my mind and made me want to cover my classroom with it. For those that do not know what Ideapaint is, here is a video that explains it in more detail. Turning surfaces into whiteboards is such an awesome idea. It is so much better than the IWB in my classroom and here are my reasons why. 1. Currently, my IWB sits in the front of the room and requires all students to face that way for instruction. It makes me have to stay in the front of the room to use the board. I'm not a fan of that. I like to walk around and interact with my students and the class environment. I feel it gives me a better sense of what is going on in the class. With Ideapaint, any wall can be the focal point of the class. Heck, a student's desk could be the focal point of the discussion as I walked around and wrote notes for the kids. Ideapaint allows the discussion to be anywhere in the classroom. That freedom is so important to a teacher like myself that wants to move around and engage students all over the room. 2. I'm stuck having my IWB connected to my computer. If my computer is on the fritz, which happens time to time, my IWB is just there. That's it. It sits there in front of my chalkboard and I look out at my kids feeling a bit helpless. With Ideapaint, I could use any surface at any time regardless of my computer. As a tech guy, I love the analog feeling of the walls and sharing ideas on them. It is a great option for teachers that have to deal with network issues in their classroom. 3. Collaboration is not easy with a IWB in the classroom. Unless the district pays a ton of money to get the IWB that allows multiple users at the same time, it's general function is one person at a time at the front of the room. That is not how I roll in my classroom. My room is designed for collaboration. My lessons are created around teamwork. An IWB is not conducive to this type of environment. Ideapaint would allow my students to collaborate in groups on the walls or their desks. They could all work together seamlessly. This approach could really change the dynamic in my classroom. I want kids to work together easily and Ideapaint would allow them to do so. 4. Sharing is nice with most IWB software. I can write notes on the provided software and save it as a PDF and then post it on my website or on a shared Evernote notebook. It's doable, but takes a few steps. In an Ideapaint classroom, not only could I post notes on any surface, but my students could write their own notes on walls for other students. Imagine a class dedicated for writing notes for specific chapters or themes in a story all over the classroom. Once the groups are done with their part of the notes, they could go around and take notes on the notes created by students. Over the course of a school day, all of my walls and desks would be covered with student created notes. My students now become the creators of content in a way that a IWB could never provide. By using Evernote, students could just snap photos of the notes and save them into their notebooks. 5. Every year I come to school and the software needs a new upgrade to work on the IWB. The problem we often face is the update does to work very well on our older computers. What's the point of having the IWB if I can't use all of the features? No updates needed with Ideapaint. As long as I have a clean wall, my students can write , share and collaborate freely in my classroom. 6. The price of projector bulbs is ridiculous. Seriously, they should not be that expensive. When they do go out, the IWB is useless. You can't do anything without the projector. Not a problem with Ideapaint. I can just go to any wall I want and start writing. Not bulbs required. Heck, if it is a nice day out, I'll turn out the lights and write on the walls using old fashioned sun light. 7. IWB do not provide much creative space for students. It's a board controlled by the teacher's computer that students are generally kept away from. Kids sit and stare as the teachers used the IWB and take notes. Students should have the space to write down their ideas to share with the class. It should also serve as a creative space for kids to express themselves through poetry, drawings or music lyrics. I'm not talking about Art classes or English classes only, but all classrooms should have this space for kids to express themselves. The more space students have to be creative, the more likely they will feel comfortable enough to relax and learn. 8. The last one is price. The amount of money it takes to buy, install, provide PD and IT support an IWB is crazy. Ideapaint can cover a classroom at a fraction of the cost. Also, no training is needed to show a teacher how to write on a wall. We have all been doing it since we were kids. Take out a dry erase marker and start sharing! These are just some of the reasons why I would love to have Ideapaint in my classroom. I hope to paint the back wall of the stage in my room with Ideapaint to create a more collaborative environment for my students. I think the creative space would have a positive impact on all of my students. For those of you who do not know, I have a beautiful baby boy named Leo. He is 18 months old now. Part of the parenting job requires me to watch lots of children's programming. One of the things Leo likes to do is sit on my lap at watch YouTube videos. We scroll through the Sesame Street and watch some videos. My favorite is the one by Jason Mraz called "Outdoors". I recently watched a video by Will.i.am that really got me thinking. There are tons of videos and segments that promote creativity and the value of being yourself. I see them daily on Sesame Street and other PBS broadcasting. They are fun to watch and always have catchy tunes. There seems to be so much emphasis on doing the right thing and accepting others for who they are. It's such a powerful message or children get while growing up. Then, it stops. I'm not sure what happened or where we went wrong, but it seems that spirit of individualism is lost on our students at a certain point in their life. By the time students get to me in high school, there is this awkwardness in them as they try to find the right place to fit in and find themselves. When I do my Transcendentalism Unit, there is this sigh of relief among some of my students when we talk about the value of being yourself and being proud of who you are. There are many people out there that talk about the value of being unique, but should that be left up to popular icons? It is sad to think that idea of being an individual is only a valuable thing to be taught in the early years and left at the curb once the kids enter "traditional" schools. Maybe the entire system is at fault. Does our current school system promote the individual? I've been reading articles on Learning Spaces the past year. Lots of pictures of cool new designs and floor plans for these new schools. I would read and look at the pictures and nod my head in agreement. For me, it was still theoretical. I needed to see it first hand. This weekend, I had the chance to see innovative learning spaces, but it wasn't at a school. I spent the day at Evernote's office in California. It was awesome. I got to meet the amazing staff I worked with over the interwebs and CEO Phil Libin (@plibin) stopped by with his awesome Empire Strikes Back coffee mug to chat with all of the ambassadors and to just see how things were going. From start to finish, the entire day was an awesome experience that really got me thinking. I could actually start a school with the set-up Evernote uses in their offices. The traditional school layout is based around classrooms. Each classroom is designed for one teacher to teach 30 students in a particular content area. Classrooms that have similar classes are located in the same part of the building. All English teachers are in the the North end of the building, Science in the South end and so on. Kids shuffle from one class to the next every 45 minutes or so to get instruction on the next subject. This format seems to have "worked" for decades and there doesn't seem to be any serious push to change it. 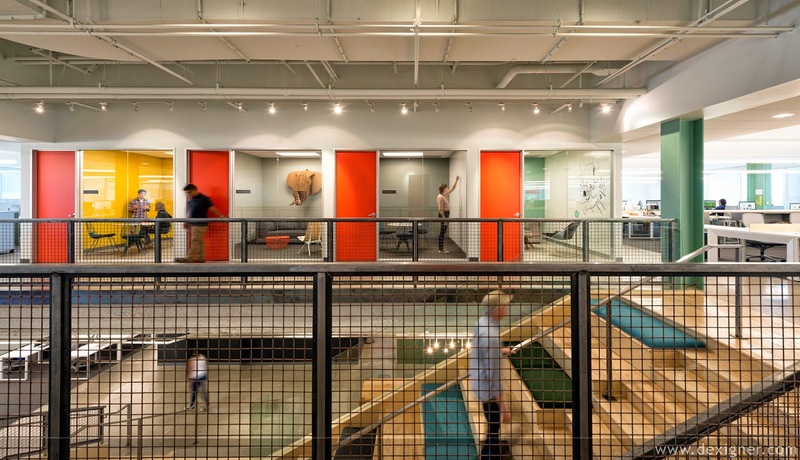 The way Evernote laid out their offices is the exact opposite and I think it has something to do with their success. 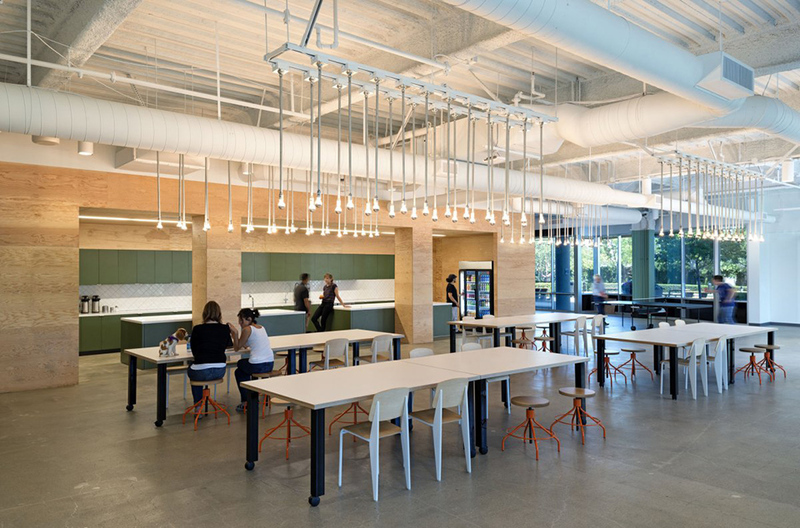 Evernote does not lump departments all together on one floor in cubicles. The layout is open floor where all of the different departments are mixed in together. Designers sit with programmers who are sitting next to sales who are across from PR. The design encourages people to get up and move around and to work with others in different departments easily. Why is this not done in schools? There has been plenty of talk about cross-curricular needs, yet we section departments off from one another. If students stayed in one part of the building and had access to all of the different departments in one spot, might that encourage stronger bonds between students and teachers? Wouldn't schools see great collaboration between the arts and sciences if they shared a hallway? These are important questions to ask. If schools want collaboration across the curriculum, space needs to be utilized to accomplish it. I could not find a cubicle in the building. I tried my hardest to find one, but all I found were desks and work spaces. The open format allowed for easier communication from one person to the next. I saw employees working across desks and huddled over drawings without the confining feeling of a cubicle. Cubicles are just the business world's versions of classrooms. Do you know anyone that actually likes working in a cubicle? I didn't think so. When employees need to work or have a meeting a more private settings, the offices are filled with conference rooms of all sizes. Some are large board room types with the long table, but others are small meeting rooms that sort of resemble the confessional booths from Real World, only a bit bigger and with less crying. Yes, the conference rooms are named after video games. Each floor is assigned a letter and the video game named rooms are based on that letter. Awesome. Room numbers are so lame. I need to come up with a name for my room and cover the room number with it. I guarantee kids will remember where my room is now. I think the idea of rooms for meetings when meetings are needed is great. The open space area allows students to work and collaborate when needed. When something a bit more private is needed, presentation planning, student conferences, etc, they can be used. If we really want students to be independent thinkers and learners, we need to provide them the space that encourages this model. The traditional classroom is still geared toward the teacher as the sage on the stage. Even and I move to a more collaborative environment in my classroom, the projector still faces the front of the room and the students still look to me as the hub of information. 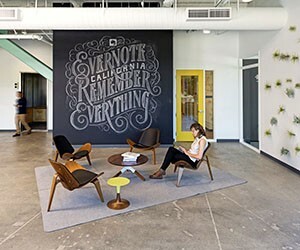 The other big things I loved about Evernote's offices was the fact they covered just about every surface with Ideapaint. Ideapaint turns any surface into a dry erase board. Desktops and walls are now a canvas for people to brainstorm and plan. There were other walls filled with notes from meetings employees used that I cannot share, but there were elements of fun and work everywhere I turned. Ideapaint allowed Evernote to utilize all of their space and not waste paper for simple brainstorming meetings. Many of us still like to write things down to help us through a thought process. Ideapaint is perfect for just that. Best of all, Evernote can take the pictures of the work and save them right into a note. Clean the wall and start all over. At the end of the day on Fridays, they have a gathering of all employees to share a snack and a drink. In most places, people are out the door, but you can sense the environment is different. Teachers are out the door to their local watering hole the minute the end of the day bell rings on a Friday. Doesn't that same more about the school environment than it does the teachers? If the school environment was better for teaching and learning, would teachers and students hang around to get more done? If schools offered S'Mores like Evernote did when I was there, you might have more people after school willing to help. The biggest push back I see is from teachers who think our students can't work in such a free flowing environment. To them I say, "Yes, you are right." However, that's not the students' fault. They do not know any better because we are not preparing them for a world that is starting to look more like Evernote and less like the classroom. If we do our job as educators, our students will not only be successful in these new environments, but they will be innovators and leaders. I had the best time at Evernote and I can't wait until I get to go back and work with these great people. These are the types of people we need thinking about education reform. If you haven't checked out Evernote, you are missing out! Another month has passed and I want to share an update with all of you on how the EEE is going. My Freshmen just completed their first big project. They needed to create their own project that needed to explain and support one of the themes covered in "Of Mice and Men". The students quickly formed their groups and got to work. One of the things they did was to create shared notebooks and work on their parts of the projects in the shared notebook. This allowed the students to do their own work, but also see what others were doing and provide feedback. Some students typed up scripts on their notes while others worked on drawings they would later add to the shared notebook. Despite the varied projects (Puppet show, rewrite of "Walk this Way", Power Point and others) each group of students were able to use Evernote to organize their project. It was really nice to see the students take to Evernote for that type of planning. My Sophomores are starting work on their big semester project. They just finished reading various Transcendentalist essays and are now going to work in groups to create the ideal Transcendentalist Society and create an infomercial to "sell" the class on moving there. My Sophomores are little more mature and organized, so I have a good feeling about how they will be using Evernote to organize and share their ideas. I'm really looking forward to this project and the students will have 2 weeks to finish and present. The new iOS app for Evernote rolled out the other day and I love it. It has many new features that make using Evernote easier than ever before. Check out this Evernote page for details on all of the new features. I have happily used my IPEVO document camera to show things to classes, my Doxie Scanner to scan in documents I wanted to share with students and staff, my Boogie Board Rip for quick note-taking and writing to explain a process to a student, my Livescribe has been awesome in recording lessons I want students to access later if needed and I have loved using my Moleskine to sit and jot down my ideas and scan into Evernote later. It is really handy at the edcamps I've been to lately. If you haven't had a chance to use any of these amazing products, please give them a try. They are awesome. That is it for now. I'm on my way back from Redwood, California where I was able to spend the day at Evernote's office and be blown away. There will be a post on that experience in the coming days. The other day I decided to put together a play list of some of my favorite movie themes. It turns out it was a "Best of John Williams" play list. While putting it together, I found the Jurassic Park theme song. That song took me back to 8th grade. My parents allowed me to spend the night at a friends house (first and only time that happened) so that we could go to the midnight showing to see the film. There is a moment in the film that will forever stay with me and I still get chills whenever I see it. When Dr. Grant sees the Brachiosaurus for the first time always blows me away. As a kid, it was a moment where I thought anything was possible. I was seeing dinosaurs. They were there and they were real. That moment was just inspiring to me the more I look at it. I'm 33 now and have a wonderful son I hope to inspire and fill with the same sense of wonder when I show him Jurassic Park. I look at my lesson plans and think about my approach and how I seem to strive for a "Jurassic Park" moment when creating them. I want my students to have a moment in my classroom. A moment they can walk away with and remember down the road. I'm not saying every lesson has a moment for everyone, but I hope some will have that moment. A Jurassic Park Moment - A moment when a person is filled with wonder and believes that the impossible is now possible. I feel a responsibility as a teacher to try and reach out to students to help them think that anything is possible and the world is still filled with wonder. Is that naive? Am I too idealistic? I hope so. If I'm not, it's probably time to get out of the Nerdy Teacher business. Do you want to share your "Jurassic Park Moment"? Leave it in the comments. Hello everyone! Project PLN is looking for posts to share with the educational community. We count on you to tell amazing stories that we can place on Project PLN. For the November Issue, we are looking for some examples of Best Practices regarding Classroom Management, Homework, Parent Contact or really anything that you think is a Best Practice. These can be older posts that you would like us to submit or something brand new you want to share. You do not have to have your own blog to submit. All educators are welcome to post. We want to encourage all educators to share their thoughts on Project PLN. Please share your Best Practice with use at ProjectPLN10@Gmail.com. Please include a photo, a short bio and any links that you would like people to visit after reading your post. Please send all posts by Friday November 9 and we will be posting later the next week. Feel free to share this with all of your friends and neighbors who are excited about education. We really can't wait to see what you have to share! Hello everyone! I wanted to let you know that I'm doing a Webinar on how to use Evernote in Education with The Principal Center in November. All of the details are below. If you are interested in registering, follow this link. This is going to be a great 3-hour workshop where I will cover all of the different ways that Evernote can impact your life as an educator. I have spent countless hours working on the ins and outs of Evernote and developed a system that makes my life easier every day. Isn't that what every teacher is looking for in a web tool? If you have any questions, please feel free to send me a tweet (@TheNerdyTeacher), an email (onenerdyteacher@gmail.com) or visit the site. What can Evernote do for your classroom? We've heard for decades about the paperless world that was supposedly coming. Paper may be here to stay, but the digital tools we've been waiting for are here, and they're more powerful than we could have imagined. Learn about the 21st century tool that's changing the way educators manage their information, from lesson plans to student work to class newsletters. Nicholas Provenzano, a high school English teacher and instructional technology expert from Grosse Pointe Public Schools in Michigan, has fully incorporated Evernote into his professional practice, from lesson planning to managing student work to communicating with families. This workshop consists of two 90-minute sessions, which will be held live on our online webinar/workshop platform. Participants will be able to ask Nick questions during and after each session, and the recordings will be posted for download after each live session. Participants who aren't able to join the live sessions will be able to ask questions via our online forum, where we will respond and share additional materials to support your use of the strategies in your classroom. If you would prefer to access all three hours of content in one sitting, you can simply download the presentation recordings after the second session. I had a chance to attend another great edcamp this weekend (EdcampOU) and I sat in a session on 1:1 computing. A district very close to mine passed a bond and will be rolling out iPads to all of their students (Grades 1-12) in the coming year. Teachers were given them first and are being trained on how to use them. It was an excellent session run by Chris Stanley(@StanleyTeach). I have a 1:1 situation in my classroom with a class set of iPads. While it has been an amazing experience, there are limitations when five students are sharing 1 device over the course of the day. For some of my students, this is the only access they will have to a computer for the entire day. I also do not get to leverage all of the power of the iPad because some apps require storage on the tablet. Despite those issues, the 1:1 experiment has been a huge success in my opinion. 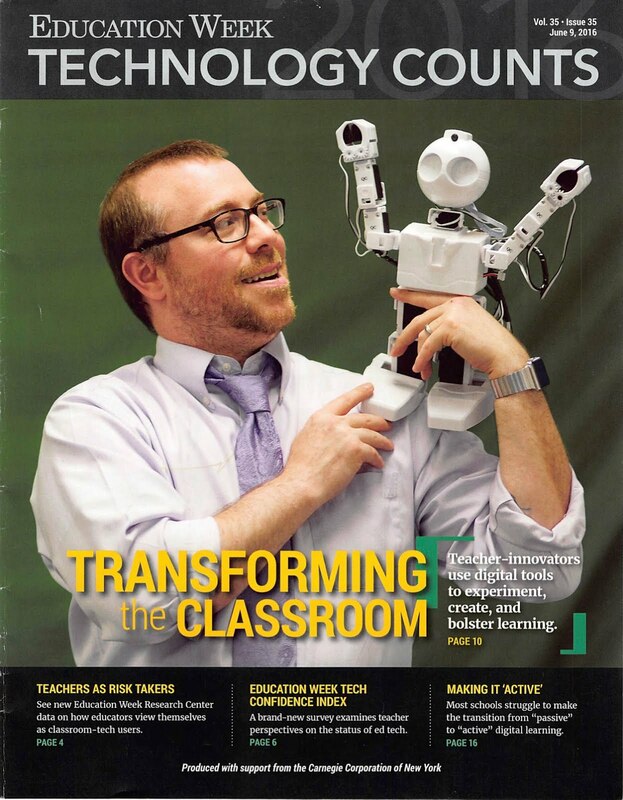 The conversation about 1:1 spilled over into Twitter and one of my district's administrators, Aaron Johnson (@i2_sing_america) and @kevinozar joined the conversation about supplying students with the devices and what do we do about teachers that are resistant to adopting the new pedagogy that comes with the new tools. These are great questions and here are my thoughts on them. I think the one that drives me the most batty, is the reluctant teacher argument. Yes, there are teachers that do not like change. That is a fact. 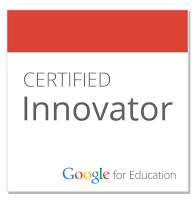 Are there that many reluctant teachers that an entire district should not move forward with a 1:1 program? I doubt it. Even if there are, it seems to me that the situation is an administrative issue. If an employee refuses to use a new tool despite adequate training and support, that is when the boss steps in and uses appropriate measures to get them on board. Now, notice I said adequate training and support. That really is key. I think most teachers are reluctant to change because they have had too many new programs and tools thrust upon them without adequate training and support. I would love it if every teacher could grab and iPad and start to lesson plan like a pro, but that is not happening. I have had the iPads in my class for almost a year and I'm still on a learning curve. Worse yet, I've been supplying my own training and support through Twitter. Now, if my district were to move toward a 1:1 model, I would be in an excellent position to support students and staff. That is a bonus. One person's pain can turn into another person's salvation when it comes to technology integration. Without proper training and continues support after the training, 1:1 programs, and all new pedagogical initiatives, will fail miserably. Should school districts pay for students to have devices? This is the question I have changed my position on at different times over the past couple of years. I believe that BYOD cannot work because of the digital divide. I also think it can't work because it now asks a teacher to have an elementary understanding of how many different devices and OSs work. That sounds like a logistical nightmare for any teacher. 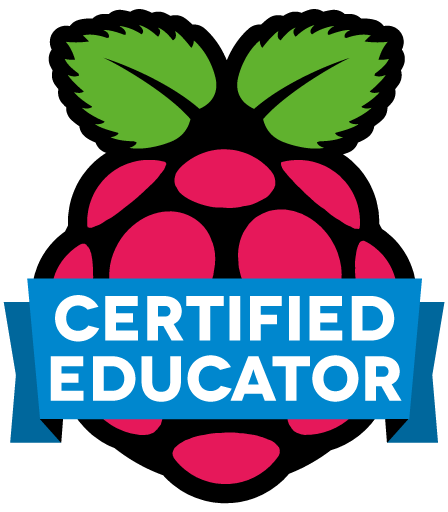 I think it is becoming the responsibility to provide access to all of the students in an effort to give them the computing skills they will need outside of the classroom. If a student is only given pencils to do their work, they will not be prepared when they go to college or have to fill out online job applications. I know funding is a nightmare and their are logistical issues that have to be dealt with, including adequate bandwidth to handle the traffic, but should these be the roadblock to providing the best education possible for our students? I needed to be up front and all of the students had their personal desk space and were tiny little islands that I would watch over from my position in the from of the class. There were a number of reasons that students needed to be organized this way, but the one most often given was, "Kids will cheat, copy or misbehave if they are sitting so close to one another." Ugh. It took me many years to break from this theory. By doing away with all multiple choice exams, the fear of copying work is gone. Project based learning has eliminated that fear completely. I know arrange my desks in groups of 4 or 5 and I couldn't be happier. What I think some teachers fail to see is the power of the table. When students are isolated at their own desk and are asked to participate in class, they are scared. I see kids that sit at tables that act far more comfortable in class because they do not feel like they are alone. It is so funny that we encourage group work and table work at a young age, then we make a switch to an independent learning environment and we really shouldn't be surprised that some students do not adjust well to this. The table allows students to work together in a collaborative environment. Some teachers suggest that tables encourage talking and student can become too disruptive. That is not the fault of the table, that is the fault of the teacher and their classroom management skills. I could argue that my students are more on task at tables because they have others next to them that can help them stay focused or redirect them if they are lost. I tend to get more out of my struggling students when they are sitting in their groups and working at the tables. In the past, struggling kids would relish the fact they could sit quietly in their own desk and hide. Tables are not for hiding. They encourage students to collaborate and share ideas. It is the perfect remedy for students that are having a hard time connecting in class with the content. Sometimes they need to hear other students walk through the process to get it. Evernote has been great for the table work as well. Students have been designating notetakers and sharing the notes in a shared notebook for all of them to access as well. There is added pressure for the notetaker to get the notes right so the rest of the group doesn't suffer. This attention to detail has created a wonderful learning environment where students in a group offer support while others are taking notes. Different tables work together and share information easily as well. Table work has turned out to be more organized than the "All desks equally apart" approach to class environments. How do you set up your classroom? I always tell my students not do to what I'm about to write, but it serves an important purpose in this piece. If I asked you these questions, would you be able to answer them? What is the technology vision for your school district? School? Classroom? Could your building principal answer these questions? How about your Superintendent? If you do not know the district's or school's technology vision, how can you create one for your classroom? If the principal cannot tell you the district's vision, how can he create one for the building? These are very serious questions as teachers look to integrate technology into the classroom. What is the goal or the purpose of using these tools in the classroom. I think there are teachers that can forge their own path in using technology in their classroom, but there are many teachers out there that need guidance and they should be looking to a building technology vision that should be supporting the overall district vision of technology use. No matter how much money your district may or may not have, a vision for the future is important to allow for planning. I'm starting to see many school districts start to make purchases without establishing a long term vision and that is a recipe for disaster and wasted dollars. Your mission, if you choose to accept it, is to ask the leaders in your district if there is a vision for technology use. If not, ask them when it will be ready. If they can't answer that, then you have a bigger mission to possibly undertake. 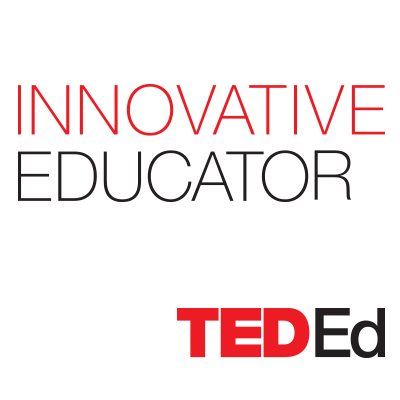 Does your district/school/classroom have a vision? Want to share it here? Leave it in the comments section. My students are working on their first project this year. I'm a big fan of Project Based Learning and have my students multiple projects over the course of the school year. The addition of iPads in my classroom has really allowed me to expand my projects to areas not possible before. The addition of Evernote has really made a positive impact on the flow of project creation. The students are creating Student Declarations of Independence. The are following the structure of the American version written by Thomas Jefferson. Working in groups of 4-5, they are outlining student rights and their complaints against the Crown (me or the school). It's a nice project I have used over the years and have moved digital recently. The biggest obstacle students always faced was trying to collaborate outside of the classroom. Emails and flash drives would be shared as they try and piece together all of the different parts of their document. Google Docs could have been a viable option, but our students do not have their accounts active and they do not know how to use them. 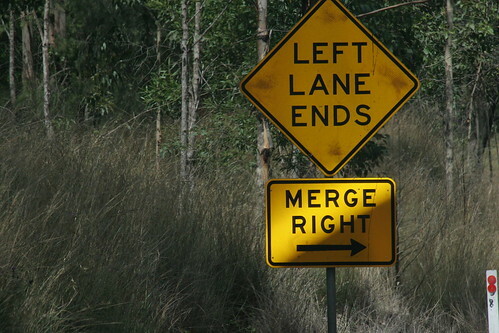 Evernote solves this problem. Through Evernote's Shared Notebooks (a Premium Feature), students can share notebooks and edit them from their accounts. This allows students to work on their parts of the project and add them to the shared notebook when they are ready. Students no longer need to worry about emails or flash drives. All of the work is safely in their Evernote account for them to access wherever they are. We have had some sharing issues due to some spam blocking on our school's email server, but that is an issue on our end that is being corrected. Long term, sharing of notebooks will be a positive step in my effort to increase collaboration in my classroom. This might not come as much of a surprise to anyone who has read my blog or seen my Twitter feed, but I'm kind of obsessed with Evernote. My life is ruled by notes and notebooks. Most people would be concerned about my above and beyond affinity for their program, but the folks at Evernote granted me Ambassador status today. I did a little research on what Ambassadors get for hold such a title and here is what I found. From Wikipedia "An Ambassador is an official envoy; especially, a highest ranking diplomat who represents a State and is usually accredited to another sovereign State (country), or to an international organization as the resident representative of his or her own government or sovereign or appointed for a special and often temporary diplomatic assignment." Jean de Dinteville and Georges de Selve, the ambassadors of Francis I of France. All I need are my robes to be in Evernote Green and I'm ready to go. I also read (Probably saw on Law and Order) that Ambassadors don't have to pay parking tickets. That is pretty sweet. I think that bad guy from Lethal Weapon 2 (Language Warning) was an Ambassador, but I promise to be like that guy. He was weird and a bit creepy. All joking aside, I'm really honored to be working with the Evernote team to help get teachers, students and schools on board with using Evernote. If you have questions, suggestions, tips or other Evernote related comments, please feel free to send me an email or a tweet and I'll help you out. You can find out about my Ambassadorship and others here.